Sell your MOSTLY AUTUMN items on eBay ! 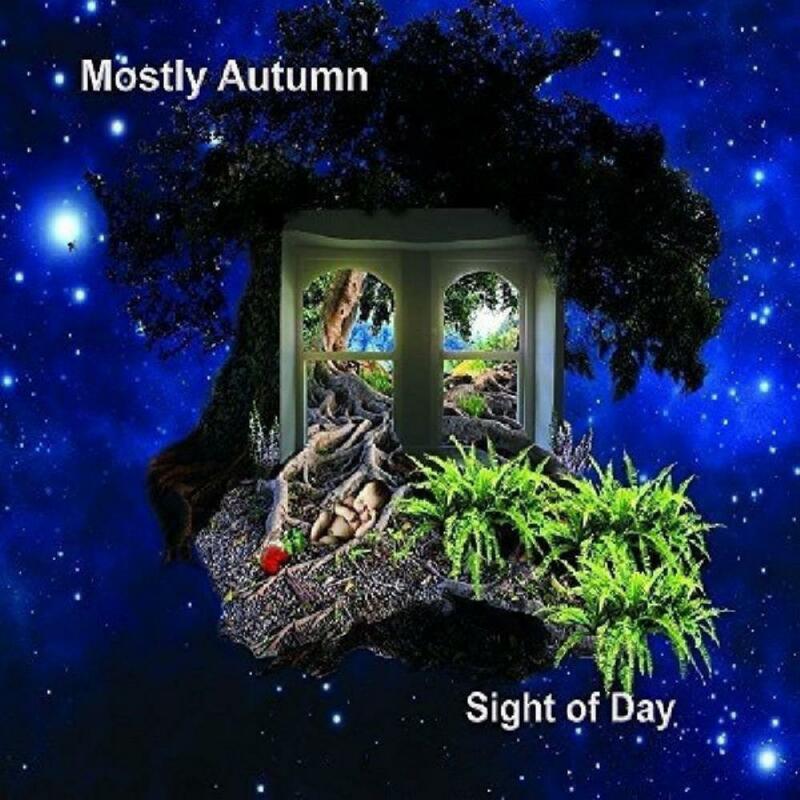 Sight of Day is Mostly Autumn's twelfth studio album. There is a massive contrast between this and the superb predecessor album, Dressed in Voices. Bryan Josh himself describes this as an "album of light", whilst Dressed....was as dark as a black hole. When reviewing that album, I posited that it might act as a springboard to greater commercial success, because this is surely well deserved. I fear this might never come about, but, as a prog cottage industry, they seem to keep coming up with excellent product, adored by a loyal fan base, and there are worse positions to be in, I suppose. This album is more of a traditional Autumn work, blending effortlessly pomp prog, lilting guitar bursts, with that folk backdrop which led me to fall in love with their work way back when I first clapped ears on The Last Bright Light. It is far too simplistic to describe the band as a Floyd influenced vehicle. Of course, this is there, but there is so much more to them than that. For a start, the beautiful violin of Anne Phoebe, and deep flute of Angela Gordon, backing a sublime vocal on the exceptional ballad, Raindown, before giving way to a huge Josh guitar solo supported by sumptuous keyboard work, is simply Mostly Autumn at their unique best. There is no other band capable of this track, and the wonder of it all echoes in your mind long after the track finishes. The title track is the opener, a 14 minute plus epic which simply lifts the spirit. The sound is epic, and Josh produces a soaring mid section solo. This gives way to the type of thoughtful acoustic folk prog they have always excelled at, with a knowing nod to Autumns Past, before concluding with such a joyous and raucous celebration of life and sound. Bryan's wife, Olivia Sparnenn-Josh, is now such an integral part of the band that it is becoming difficult to remember when she wasn't there. Her voice on this, and everywhere else, delights at every turn, and my best wishes to the pair of them for the impending birth of the first Josh Junior. What Olivia demonstrates here is just what a marvellous range of vocal techniques she has. From the sheer front on pomp of the opener, with vocal and guitar jousting between the two, we are treated to a fragility on the thoughtful, and questioning, The Man Without A Name, a track which features a deceptively simple piano lead and background keys and rhythm guitar. A joy, and a highlight of the album. However, to treat this as merely the Josh family vehicle would be a mistake. There have been many lineup changes over the years, but Josh has always surrounded himself with quality contributors, and a very pleasant surprise on this album was to hear a written and performed track, Changing Lives, by the returning Chris Johnson. 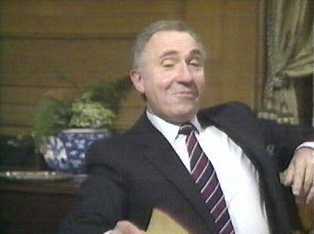 A damned fine track it is, too, with the male/female vocal interplay after "come together" being particularly pleasing. Johnson, by the way, also gets a production credit on this. I have always enjoyed Iain Jennings' keyboard work, and this is highlighted to great effect on the co-written, with Josh, and rather dark, Tomorrow Dies. The keyboards, together with some thumping drum work by Alex Cromarty, create a track which is about as futuristic as the band will ever come. Olivia belts out a massive vocal lead, and I can see this becoming a firm anthemic favourite in the live arena. It is fantastic to welcome back the hugely talented flautist and vocalist, Angela Gordon, Anne-Marie Helder having left to concentrate on Panic Room and linked projects. In addition to her contribution to Raindown, I love the recorder intro to the Norse mythology track, Only The Brave. 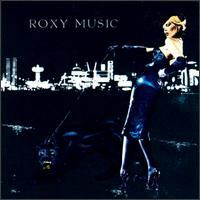 It is a misleading intro, though, because the main body of the song rocks along at a rollicking pace, showcasing, in particular, a very strong rhythm section in Cromarty and Andy Smith. From Norse mythology imagined around a camp fire, we decamp to Native American spirituality and love of life in Native Spirit. The denouement, with guitar, dark, looming, keys, and pounding drums & bass creates a massive wall of sound, and is a particular delight. Josh produces a wonderfully sensitive vocal in the lead up to the end passage, which crackles with emotion. Talking of which, the album closer, Forever and Beyond, is a lovely paeon to lost youth, absent friends, and thoughts of eternity. It is a gentle love song which always stays on the right side of mawkish, and is Celtic to its very roots. There is not one bum note or track on this album, a fine addition to a library bursting with great work. It is quite excellent, and highly recommended, especially to those tempted to dip their toes in for a first ever listen to the band. Four stars, but an extra half if we had the facility for such a rating. 'Dressed in Voices' was the long awaited return to form for the British prog-folk band Mostly Autumn, a fact that was recognized be all critics and fans and in order to further consolidate their position, the follow up 'Sight of Day' keeps the eye on the progressive prize. Lead singer Olivia Sparnenn-Josh is once again given a strong melodic platform to show off her considerable range and powerhouse delivery. She just may be the current prima donna (in the positive sense) of prog, at least in my humble opinion. This solid crew has been together for quite a while now and they seemed to have found their calling once again, focusing on crushingly attractive melodies sprinkled by some spectacular instrumental soloing from the fabulous guitar of Bryan Josh and Iain Jennings' ornate keyboard wizardry. The tight rhythm section of Andy Smith and Alex Cromarty act as the perfect motor for the band to pull of some masterful arrangements and thus create vivid, entertaining music of the highest order. Chris Johnson is the perfect rhythmic guitarist for Josh, liberating his gun-slinging technique with soaring, gliding solos that pierce the clouds. The title track opens up the velvety curtains with a rather incredible 14 minute epic masterpiece that encapsulates the real essence of MA, a heady mixture of romantic and bombastic zeal that dives into exciting melodicism and bold instrumental play. Iain Jennings lovely piano introduces a dignified and confident vibe, setting the melancholic tone for a spiral of delicious sounds, seamless shifts and crazed soloing. Needless to say, Olivia sings like the wind, gently powerful when needed and utterly expressive. Maintaining a luminous disposition ,'Once Around the Sun' offers quite a shimmering bombastic touch, with a Bryan Josh that winks at classic Roger Daltry (Who?). The melody has a little native Indian beat to it, a trait that will surface later in the track list, the organ in particular shining bright. Powerfully simple, immediately catchy and cool. 'Take care of yourself', he said. The short but crushingly beautiful 'The Man without a Name' has Olivia showing her unbelievable voice, crystal clear and precise, vocal perfection in both delicacy and power. She has an almost Sarah Brightman tinge, a compliment of the highest order, I can assure you. Stripped down and pure, quite a gem to behold, with mostly piano as an escorting vessel. What I find particularly appealing is their treatment of conventional structured songs, which they mould into something very much in their image, like the bluesy rocker 'Hammerdown', a raucous and fervent cry in the dark, that has classic rock stamped all over it, loaded with perspiration and muscle. Bryan Josh's voice crackles with emotion and his soaring guitar follows suite, screeching high and mighty like only he can. Displaying incredible variety, the Chris Johnson-sung, produced and penned 'Changing Lives' surprises by fitting nicely within the overall framework , yet completely different from the other tracks here, a modern soft rocker that sizzles unashamedly, coming together as one, male and female voices in harmonious communion. Jennings' raging Hammond organ shudders violently as the overwrought guitars howl to the moon. Massive and feisty, 'Only the Brave' has wave upon wave of windswept bombast that incorporate some of Troy Donockley pipes and whistles. Early Mostly Autumn initially focused on strong folk roots, inserting a pastoral feel as well as eclectic instruments into their compositions and it's great to see that gift being added to a rather bruising and athletic rock track. 'Viking water, gods of thunder'. Contrast that with another epic highlight track, a brooding and extreme splurge of sound, reliving native Indian lore, both in the instrumental envelope as well as lyrically. Bryan's focus on Canada is quite a stirring revelation, as my country certainly has the vast lands, 'mountains, trees and bright moons'. 'Native Spirit' is a fascinating track, replete with sweeping and dark orchestrations that keep the rhythmic thunder in check, a brilliant performance from Cromarty, pummeling like a feathered warrior on the war path. Both Josh's guitar and voice go way beyond the horizon, deep and trembling into the moonlit night. Iain Jennings is quite the keyboardist, orchestrating modern swaths of sound in a most symphonic style as he did rather vividly once on 'Distant Train' off the Passengers album, so it comes as no surprise that 'Tomorrow Dies' is heavily clad in dense arrangements that highlight Olivia's authoritative vocal. Man, can this woman sing, or what? I still have goosebumps listening to this blurting yelp for salvation. Thrilling, expansive, shimmering and glittering. One of MA finest pieces ever. Josh is a bad man, as he follows up with two more absolute killer tracks to finish off slaying my pleasure. 'Rain Down' hushes the deepest sentiments, violins in tow, evoking the majesty of Mother Nature's cleanse, both a torrent of rejuvenation and a cascade of satiation. Angels waiting to towel down the tired soul, momentarily drenched in emotional comfort. This track is so poignant, intensely vivid and heartfelt, a sheer joy to behold. Surely a concert highlight, perhaps even encore material. Closing the book on this 73 minute extravaganza, 'Forever and Beyond' is simplicity incarnate, featuring a radiant and truthful ode to life and all its tribulations, bathed in a pastoral and folky setting. Perhaps hearkening back to their first album , 1999's 'For All We Shared', a time of rebellious discovery and artistic expression, this passionate vocal duet between husband and wife, soon to be father and mother, is as exhilaratingly personal as it gets and we are all blessed to be witnesses to all this impending joy. The feel is upbeat, smiling right and incredibly positive. We all need music like this in today's screwed up world. Panacea, genuine art, passion-fueled music of the highest order, something anyone with a pumping heart can understand and ultimately feel inside of themselves. This Mostly Autumn ship will keep on flying'. Twelve studio albums in, with numerous live albums and DVD's slotting in between, and Mostly Autumn are still firing on all cylinders on their most recent set, 2017's `Sight of Day'. With the much- loved Heather Findlay-fronted version of the group truly behind them, the Olivia Sparnenn-led line up is sounding more settled in, inspired and determined to impress than ever, and while `Sight...' may not take the group in many surprising new directions, it shows them honing to near-perfection their expected mix of fancy folk, gutsy prog-rock and emotional vocal-driven song-writing. As always, Olivia and her hubby, the charismatic lead guitarist/frontman Bryan Josh, take the spotlight, but returning member/multi-instrumentalist Chris Johnson also offers welcome contributions that shine, and the album frequently turns out to be a true showcase for the sublime skill of keyboard player Iain Jennings. Mostly Autumn play their proud prog card right from the opening multi-part title-track, and throughout its fourteen-plus minute length, the band offer everything from the most subtle of Iain's pristine and softly melancholic piano playing and moody symphonic keyboards, Olivia's passionate voice carrying the reflective lyric and Josh's slow-burn ever-building electric guitar reaches across a range of moods. It manages to include two big anthemic passages with both the `And it's the greatest show on Earth...' and `In the blazing sun the music filled the sky' moments proving hugely joyful and chest-beating with Josh and Olivia singing in unison, and they truly takes the piece higher and higher. Make no mistake - right from the first spin, it's clear that fans of the group are going to raise this one up as a Mostly Autumn classic, displaying a mastery of controlled build and expertly delivered drama, and it's going to be a cracker whenever performed live. Moving on, the verses of the Bryan-led `Once Round the Sun' and his raspy vocal convey embracing `come-together' lyrics but the rest is a muscular rocker lying somewhere between Jethro Tull and Deep Purple with its shimmering Hammond organ and Alex Cromarty's tough pounding drumming, with just a pinch of Angela Gordon's twirling flute. The gently confronting piano ballad `The Man Without a Name' is an Olivia-sung low-key reminder to stay young at heart, and the initially acoustic and lightly bluesy `Hammerdown' lifts to life with a searing Bryan and Olivia shared vocal. A welcome surprise, `Changing Lives' is written and performed by multi-instrumentalist Chris Johnson, and while it eventually pours on some grander symphonic synths and fiery guitar wailing, the sprightly and up-tempo piece holds verses sounding not unlike a track from alt-country singer Ryan Adams and the chorus is kissed by the radio-dominating version of Fleetwood Mac! `Only the Brave' is a hard dusty country-flecked rocker accompanied by Anna Phoebe's searing violin that bounces with buoyant momentum and reminds a great deal of Pink Floyd's `Sheep', but `Native Spirit' is the other big `prog' moment, a ten-plus minute epic. Pleading for the preservation of nature, old way-of-life and spirit, reflective acoustic guitar passages are contrasted with scorching electric runs, some surprising darker turns in the middle that lead towards dramatic symphonic strings and gloomy synths before a rocking loved-up finale backed to pounding drums and Andy Smith's pulsing bass. Unexpectedly, `Tomorrow Dies' is heavily electronic and therefore dominated by Iain's keyboards, and it holds an Olivia-sung chorus that could easily sit alongside the poppier moments of German female-fronted indie-prog band Frequency Drift's `Over' album from 2014 (and listen out for a brief heavy flamenco guitar-like burst buried deep in the middle! ), and `Raindown' is one of those fancy orchestrated ballad moments that Mostly Autumn deliver on all their albums, and sure enough Olivia excels throughout it with a powerhouse performance. The wistful and joyous `Forever and Beyond' wraps the album, an upbeat tune with an overly pretty melody that perhaps proves just a little too sweet, where the previous grander track would probably have made for a stronger closer, but all good! As usual, this new album is also available as a limited edition double CD set with a thirty-five minute bonus disc. Of the seven tracks included on it, five of them are a showcase for Olivia Sparnenn-Josh being a collection of soft rock songs and classy ballads sung by her, with the soaring chorus of `Moments' and the optimistic (and quite unashamedly poppy) `In Time' being particular highlights. Chris Johnson delivers a sparse alt-country one-take acoustic tune `Pushing Down the Floor' that sounds like it could have come off Ryan Adams superior `29' album, but Pink Floyd fans will most dig Bryan's six minute Pink Floyd-flavoured instrumental `July'. With sparkling and delicately melancholic Rick Wright-like piano and weeping David Gilmour-esque guitar wisps, this beautiful piece could easily pass for an outtake from Floyd's `The Division Bell' album. This is a very worthy bonus collection, and would actually make for a fine EP all on its own. `Sight of Day' ticks all the right boxes for a Mostly Autumn album, making it a winning collection of their accessible melodic arrangements with frequent displays of instrumental prowess, superior male-female vocal class and all the inward-looking soul-searching lyrics the group is known for. Curious newcomers wanting to hear a strong example of the band and their music could easily be recommended `Sight of Day', and long-time fans will also be in for a treat with a superb album that ranks up amongst their best releases. The prog-rock institution that is Mostly Autumn carries on, stronger and better than ever. 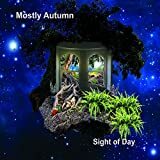 Post a review of MOSTLY AUTUMN "Sight Of Day"